The Hottest Thursday night party in NJ continues to heat up at Bella Luce Restaurant & Bar. 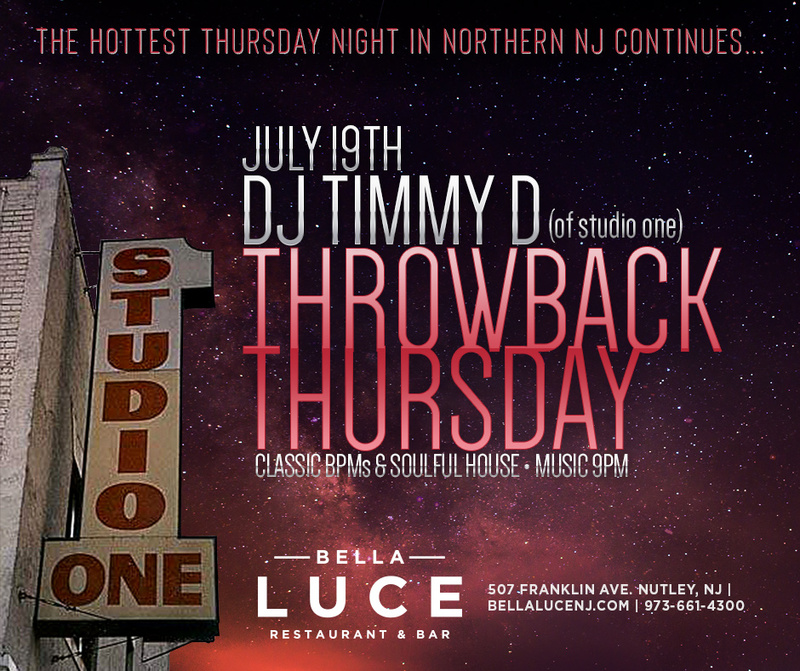 On Thursday, July 19th, 2018, don’t miss Throwback Thursday as we bring back DJ Timmy ‘D’ in his second appearance at Bella Luce. Timmy was a past DJ at some of the area’s hottest nightclubs including Joey’s (Clifton), Studio One (Newark), Parrilos (Belleville), and Butterfields. Don’t miss a great night of dinner, drinks, and music! If you haven’t tried one of Chef Erm Firmani’s amazing dishes, make your dinner reservations today!